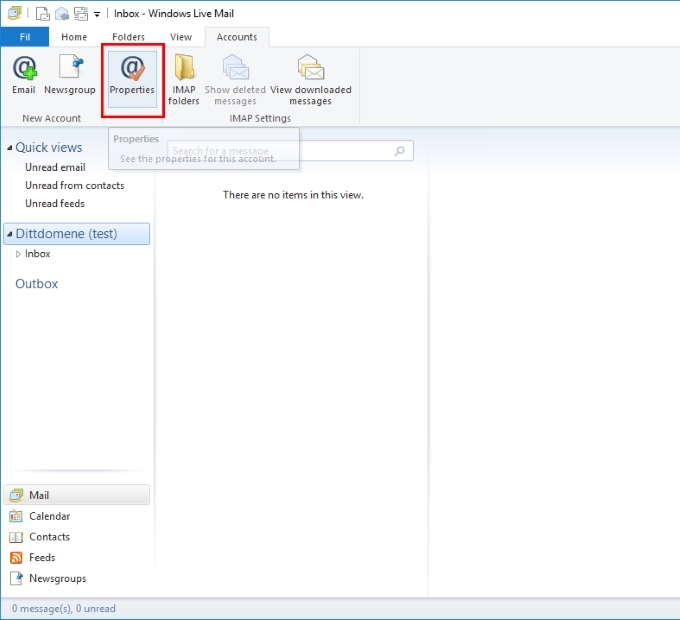 This guide will show you how to change your existing email account in Windows Live Mail. 1. Please open Windows Live Mail and click the tab «Accounts». Select «Properties. 2. 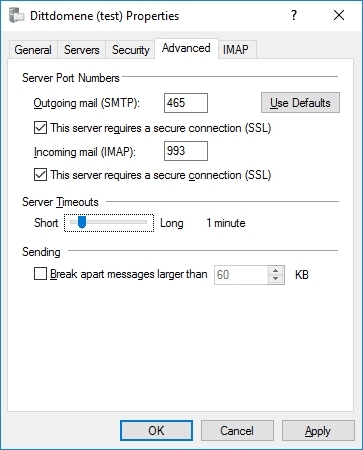 Select the «Servers» tab and write the following incoming mail: mail.uniweb.se. 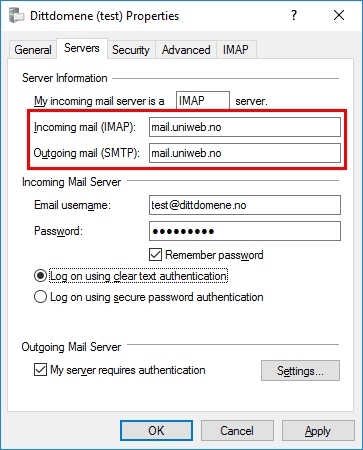 Outgoing mail: smtp.uniweb.se. Also select «Log on using clear text authentication». Please check that you have the complete email address as «Email username». You must also select «My server requires authentication». Click on the tab «Advanced». 3. Set outgoing port as 465 and incoming as 993. SSL must be checked on both of them: «This server requires a secure connection». Click «OK». You may now be asked to reload all messages and folders from the server. Answer «Yes», and the settings are complete.